news Port and rail operator Asciano has revealed a wide-ranging plan to upgrade its “entire” IT infrastructure and applications stack, in a move which will see a broad tranche of technology platforms modernised with the assistance of Japanese diversified IT services giant Fujitsu. 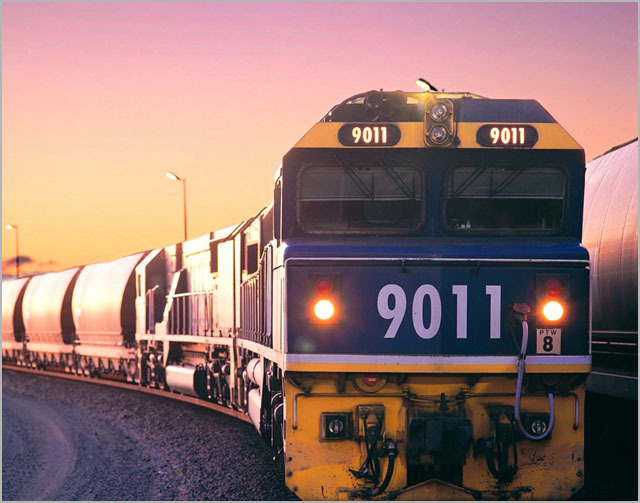 The company is Australia’s largest rail and ports operator, including the Pacific National rail business and the Patrick’s ports and stevedoring operation. It employs about 7,500 staff and is listed on the Australian Stock Exchange, with annual revenue of some $3.4 billion. In a statement issued this morning, the company said the 18 month program would see Asciano’s systems transformed into a “business-aligned, highly available” model – “improving the way the company works, its service delivery and the way it interfaces with its customers”. On the list of systems to be upgraded are Asciano’s ERP platform, its maintenance and terminal operation systems, its desktop PC fleet, its email and unified communications infrastructure, its collaboration and document management systems, and more. Asciano will replace “all existing hardware” in the area of desktop PCs and telephones, with virtual desktops being implemented. A single email and messaging platform will will be implemented using Microsoft Exchange and Microsoft’s Office productivity suite, and a “major database implementation” is also planned for early 2013. The database upgrade will underpin following upgrades to Asciano’s Transport Management System (used within its rail division) and Operating Management System (used within its ports division). WAN and LAN services have been consolidated with Telstra. Fujitsu has picked up a five year contract with the company for the migration, but Asciano’s own IT department will retain responsibility for the delivery of ICT services, “while leveraging the capabilities of key partners” as well. The implementation of the plan comes two years after Asciano appointed a new chief information officer, Kelvin McGrath, who had previously held a similar position at Boral Previously, a spokesperson for Asciano said at the time, the company had maintained separate technology teams for its Pacific National rail and Patrick ports businesses. McGrath has also held software development roles in the UK and Sweden, as well as at Transpower New Zealand, where he was the group’s IT&T delivery manager and operational engineering manager. He will start at Asciano on 25 October. “The guiding principle for the new service is to deliver faster and more flexible systems and services which are not only better tailored to suit the ways in which our people work but create an ecosystem to enhance Asciano innovation,” said McGrath in a statement by the company this morning. Fujitsu has labelled the contract a victory for its cloud computing services, with Asciano to shift a great deal of its infrastructure into the Japanese company’s local datacentre facilities. It looks very much to me that Asciano had a somewhat disaggregated IT function, which isn’t surprising given its corporate history – it was spun out of Toll Holdings in February 2011. It seems that McGrath was headhunted by the company to drive a transformation agenda, firstly integrating its IT department assets internally into a cohesive unit, and then transforming its IT infrastructure. I wouldn’t be surprised to hear that Asciano’s IT infrastructure was radically out of date at the moment. These types of transport-style infrastructure companies tend to hate investing in IT, apart from when it’s absolutely necessary. Sometimes they can be worse than government departments. I’m sure that Windows XP is the desktop operating system du jour at Asciano at the moment, for example, and that its server fleet isn’t completely virtualised and its databases and corporate applications are out of date by five years or more. I’m sure the company’s staff will welcome what is probably a long-awaited IT modernisation program. It will be interesting to see how Asciano approaches its IT function and assets in the long-term. These things usually seem to go through cycles. Right now, there’s an appetite and high-level executive support within Asciano for IT rejuvenation. But will the same be true in half a decade or so? Or will the organisation start to let its IT infrastructure fester again, at that point, and then need to proceed with another rejuvenation process in seven to eight years? This is the time frame which chief information officers need to plan on. Because if the incessant level of change in enterprise IT is to continue, as most people seem to anticipate it will, today’s IT infrastructure will be tomorrow’s roadkill. I’d like to think that McGrath and his team at Asciano are attempting to sett the company up for the real long-term in this process – and not just the next five years. Otherwise, in a decade or so, Asciano may find itself in exactly the situation it’s in right now.